Jonathan, our 3 year old, said "Janna give me some paper!" (She was distracted as she was on the computer for her computer time for the week) And again, "Janna! Give me some paper!" Then, me saying, "Jonathan, use your kind words." Then, he said in a very sweet voice, "Janna, will you please give me some paper?" Earlier, while I was checking my email, Josiah came up to me with a little flashlight he was holding in his wide-open mouth, saying "Ma...look at dis! What's dat yittle ting hanging down in da back my mouf?" "It's called a Uvula, Josiah." "Yeah...look at dat!" While at the same time that was going on, Hannah was asking "Mom, how does Oh, Little Town of Bethlehem go?" While at the same time, my oldest two girls were rolling around in the floor, pretend crying about having to do their math homework! This morning Kaylee stepped on a nail outside and we were able to safely get it out and take care of her properly. This afternoon Jonathan, our three year old poured out the whole bottle of baby soap into the bathtub! Then...a whole bottle of ERA laundry detergent fell off the dryer and onto the kitchen floor and all the way under the washer and dryer! Lori's Top 10 Reasons to Look Up! LOOK UP...For your health and for your relationships! not on things that are on the earth (worldly things). 10) Look up to the beautiful sky and sun! The sun gives us energy and therefore, energizes us! 8) Cell phones (texting, games, etc.) cause us to look down...at electronics instead of people...yuck! 7) Depressed people look down...you don't want to be depressed, do you??? 6) Looking up will help you feel better! 5) Looking up is good exercise for your eyes, so it must be healthy for your whole body! 4) Looking up causes you to be more aware of what is going on around you (less likely to be a victim). 3) Looking up, I believe, increases endorphins and that's always good. And the #1 reason to look up??? 3 of the girls and I had the pleasure of attending "Mickey's Live Rockin Road Show," at the Allen Event Center in Allen, Texas today and we had a great time! Disney sure does know how to put on a great show! If you haven't been to the Allen Even Center yet and you live in the Allen area, I'd like to encourage you to attend an event there sometime. :o) There are 3 main benefits to attending an event there, versus attending an event in Dallas. My favorite thing about it, is it's close. I like not having to drive all the way to Dallas and I especially like not having to fight the Dallas traffic! Also, the Allen Event Center is new, it is also clean. In addition, I like the fact that it is small and there are no large crowds to contend with. 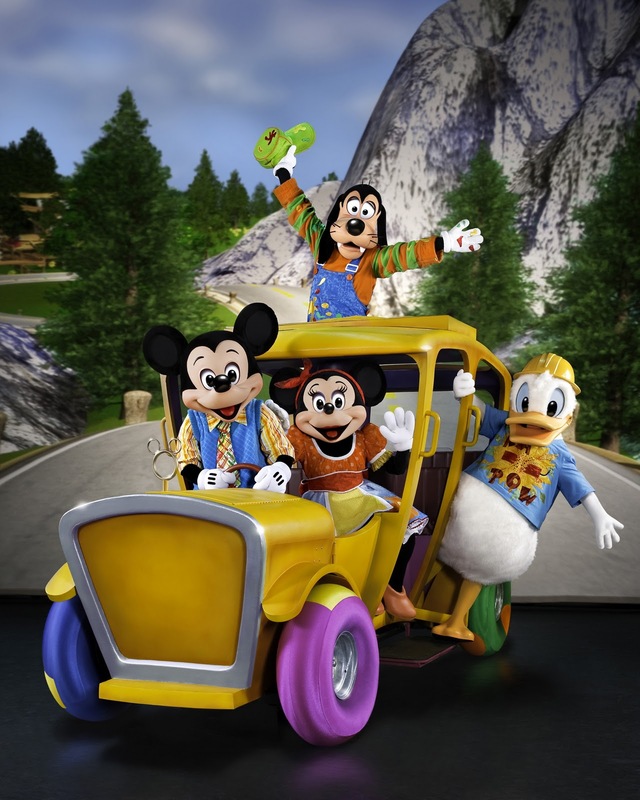 The winner to our contest for 4 tickets to Mickey's Live Rockin Road Show is...CINDY BOOKER! Congratulations Cindy! Thanks to everyone who entered our contest...be watching because we will have another contest to win tickets to another Disney show in the coming weeks! 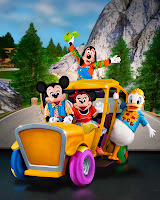 Disney Live Mickey's Rockin Road Show will be playing at the Allen Event Center in Allen, TX on Sunday, October 17. We have 4 tickets to give away for the 12:30 p.m. performance! All you need to do to be eligible to win is become a follower of our blog and email your quiz question answer to dlgordoni@gmail.com prior to October 14th. Watch the blog and your email for an announcement! (If you are already a follower on our blog, please feel free to enter too)! Here's the quiz question: Name one of the Mickey Mouse cartoons produced in 1928. My wife, Lori and I, attended a complimentary screening of the movie Life as We Know It to facilitate my review and received a gift card from Mom Central as a thank you for our time. Life as we Know it was Directed by Greg Berlanti. Katherine Heigl, Josh Duhamel, Josh Lucas starred in this story of two single adults who become caregivers to an orphaned girl when their mutual best friends die in an accident. The formula for romantic comedies always seems pretty simple and most people don’t mind seeing elements of the Taming of the Shrew, or The Quiet Man or It Happened One Night repeated over and over, so I won’t fault the makers of Life as We Know It for returning to the predictable theme of two people who hate each, other falling in love. I also won’t fault them for having a fairy tale ending because that’s really what most viewers want from a romantic comedy but there are plenty of other elements in this movie to be concerned about. Good acting, high production values, and funny gags simply aren’t enough to make this movie worth seeing because of the absence of a single admirable character. The movie condones and deems normal a long list of vices including, homosexual unions and portraying a homosexual couple as the parenting experts, sexual promiscuity and drug use, and almost every couple having one person with a wondering eye. It may not come as a surprise that the child who is supposedly so loved comes across as more of a prop than an actual character. As the father of a family with eleven children I failed to appreciate a gag about a father of nine being unable to identify one of his children or remember exactly how many children that he had. Suffice it to say that I would recommend that you save your pennies for an alternative like “It Happened One Night” with Claudette Colbert and Clark Gable.